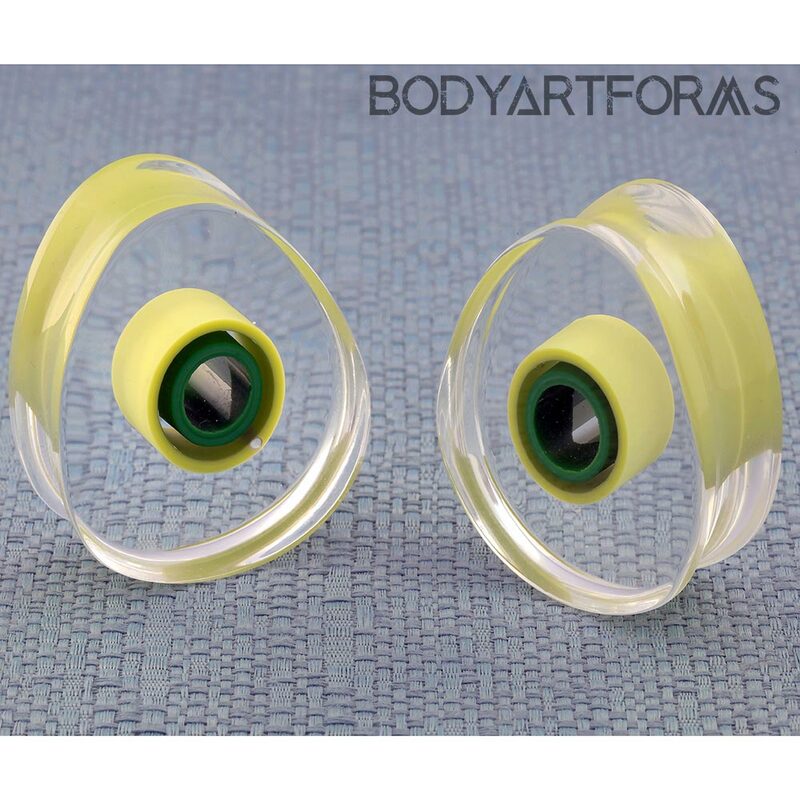 Reminiscent of the colorful candies, these double flare Pyrex glass Lifesaver plugs from Gorilla Glass features vibrant green colors at the center. This pair of plugs has a minor cosmetic imperfection on the front of one of the light green circles (see photo). PLEASE NOTE: Attention international customers: Due to the fragile/large nature of this product, it needs to be shipped in a box rather than a bubble mailer. This will increase shipping costs at checkout.